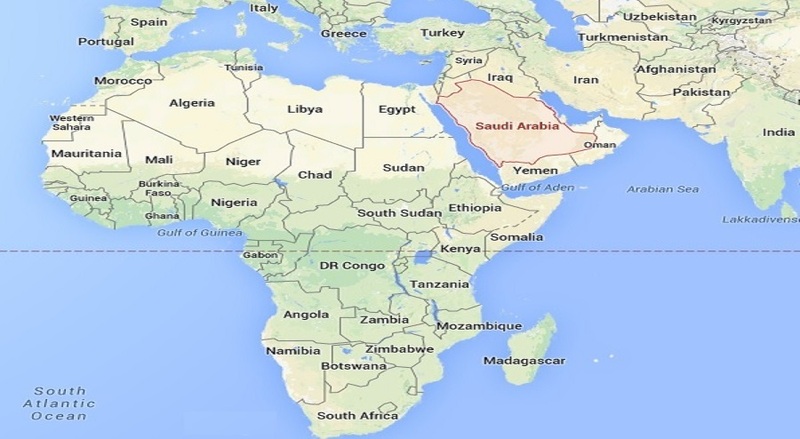 The Kingdom of Saudi Arabia is located off the north-eastern tip of Africa, between the Red Sea and the Persian Gulf. Sand, sand, sand… and Hot, hot, hot! Well, actually its not all sand… the coastal regions have some beautiful beaches with Jeddah being home to some of the best diving locations on the Red Sea. And its not all hot… some towns in the north, such as Tabuk, actually experience snowfall in Winter, with temperatures dropping to -6°C. The Arab people are devout Muslims – Islam is not just a religion for them, but a way of life. Islam is the only officially recognised religion, and while they accept certain other religions, such as Christianity, you are not allowed to openly practice these religions in the country. They are conservative in their beliefs and traditions, with women not being allowed the same freedom that most western women enjoy. Expat women living in KSA need to respect and observe these same limitations in terms of covering up with an Abaya, and not being allowed to drive etc. The population of Saudi Arabia is largely made up of farmers, but the country’s primary source of wealth comes from the oil industry. Arabic is the official language of Saudi Arabia, but English is widely spoken and is used in business. English is a compulsory second language at schools. All expat staff must be able to communicate clearly in English, no matter what their home language is. You will be required to learn some basic Arabic, either by attending a course or by just picking up basic words / expressions in your day-to-day interactions with fellow staff members. All Western expatriate staff are housed together in specially designated housing compounds. Single male and female staff are housed separately, while Married staff live with their families in the Family Compounds. These compounds are secure, and no visitors are permitted without prior consent. Male visitors are prohibited from entering the female housing compounds. In general safety is not a concern, provided that you abide by their laws and respect the culture and beliefs, as you should in any foreign country. The Expat Housing Compounds are secure, access-controlled areas. The Saudis have very strict laws and harsh consequences for any illegal activities, so there generally is not much crime at all. However, it is always advisable to be alert and keep valuables hidden from view, as in any civilisation there are always exceptions to the rule and petty theft is still possible. Women should always be conservative and discreet when out in public. Unfortunately Saudi contracts are generally Single Status contracts, therefore families are not permitted to go with. Salaries in KSA vary greatly, depending your chosen field, speciality, and level of seniority etc., but generally speaking they are very generous. The salary is paid in the local currency, being Saudi Riyals, and can then be converted into your local currency. South African expat staff in particular benefit greatly by our weak Rand, with the exchange rate normally in the region of R2.00 to R3.00 per Saudi Riyal, so you’re basically almost doubling or tripling the given salary, depending on the current rate. There is no tax payable on salaries at all in the Kingdom. You should also not be liable for taxation in your home country, as most countries laws state that if you are out of the country for 183-days in a 12-month period then you do not get charged local income tax. Therefore the salary you earn is 100% TAX-FREE!! So the answer is YES… you can basically save 90% of your salary! Click here to download a useful and informative book all about Saudi Arabia, and dealing with Culture Shock.